One of our main focuses at Kyle Parkway Dentistry is preventive dental care. We want to help you stop problems from developing in the first place so you never have to deal with the time or stress of correcting serious issues. Ready to keep your dental health in tip-top shape? We’d love to be your dental home for all things family dentistry. Sometimes all you need is a routine checkup, and we’re happy to help with just that! Cleanings and exams are recommended every six months to ensure your teeth and gums stay healthy. 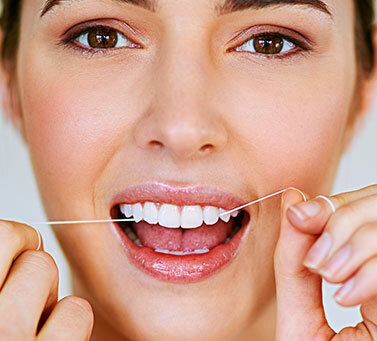 We’ll brush, polish, and floss your teeth, and perform a cavities risk assessment. We also take any necessary dental X-rays. Dr. Dholariya will look for any problem areas or abnormalities and give you his recommendations for next steps, if any. Fluoride is a mineral used to prevent tooth decay and to strengthen enamel. Essentially, the fluoride replaces any nutrients in the teeth that have been lost or eroded due to plaque. 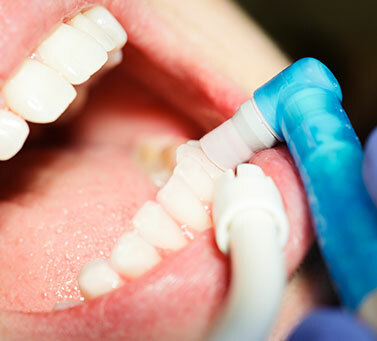 We offer both in-office fluoride treatment as well as fluoride trays you can use at home. This treatment is mostly used for patients, both adults and children, who are not getting enough fluoride through their drinking water or toothpaste, or who are at a higher risk for decay. Your back teeth, or molars, have grooves on the top that are prime spots for bacteria to hide. We use sealants to fill in these hard-to-reach crevices to stop bacteria and acid from settling in there and prevent cavities from forming. Placing sealants is a fast, painless process, and it can help save you stress in the long run by keeping you cavity-free. Plus, sealants aren’t just for kids — adults can benefit from them too! Has anyone mentioned to you that you grind your teeth while you sleep? Or maybe you’ve come in for your dental check-up and Dr. Dholariya has noticed that your teeth are being worn down. If so, you may suffer from bruxism, a condition where your grind your teeth at night. It can lead to tooth trauma, receding gums, jaw pain, and headaches. 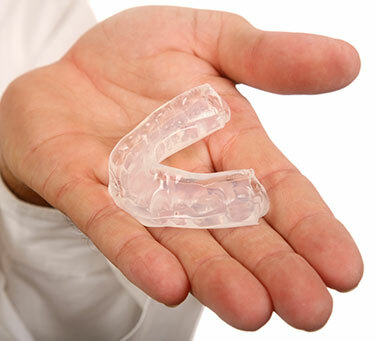 We can fit you with a custom nightguard that’ll act as a barrier between your teeth and stop serious damage from occurring. A lot of people think that the dentist is only focused on your teeth, but not so! We care about your complete oral health. 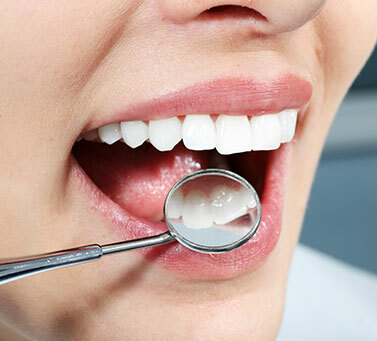 We offer screenings where we examine your mouth for any signs of oral cancer, such as white or abnormally red patches. The earlier we can identify the disease, the greater likelihood that you can cure the condition. Risk factors of oral cancer include a previous history of the condition, alcohol use, and tobacco use. Chipping a tooth can happen as the result of a fall, a sporting accident or weakening of the tooth due to decay or disease. Regardless of the cause, however, it is important to have the chipped tooth repaired. Besides altering your smile, a chipped tooth can cause discomfort, pain, difficulty eating and infection of the pulp tissue. Over time, a chipped tooth will also likely change your bite, which can lead to further oral health problems. Accidents can happen. 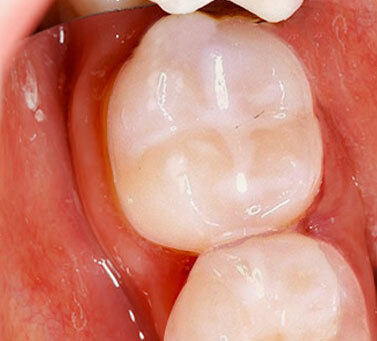 Tooth pain can flare up out of nowhere, and teeth can crack or break inexplicably. While in many cases you can wait until a scheduled dental visit, there are times when you will need an emergency dental appointment. Anxious about your upcoming dental appointment? While we do everything we can to calm your nerves, we understand that some people suffer with serious fear of the dentist. 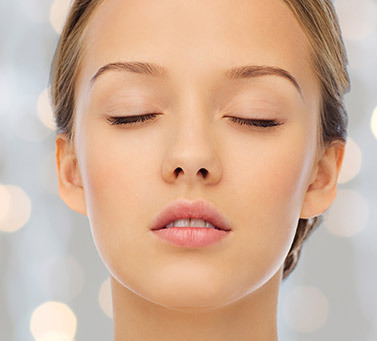 We offer different types of sedation dentistry, including Nitrous oxide (known as laughing gas), and IV sedation (For Oral Surgery procedures such as extractions). We’re here to help you relax while we look after you! On the comparative pain scale, an average toothache rates at 4 out of 10. When you consider that this is a relatively mild toothache, it is easy to see how severe tooth pain can very quickly climb the scale. 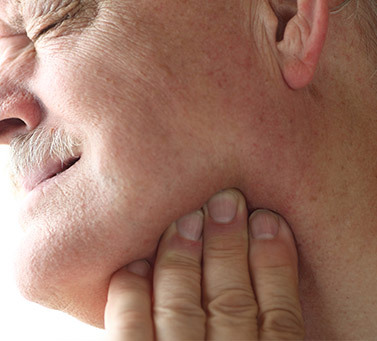 If tooth pain persists, it could also indicate that there is a more serious issue at play. So, if you are experiencing tooth pain, you should contact Kyle Parkway Dentistry.